Hypothetically speaking, let’s say I went to happy hour at one of my very favorite restaurants two Fridays ago. Let’s say I went with my friendy Jenn. Let’s say we snagged a table in the bar at the front of the restaurant and had a waitress with blonde hair. Let’s say we ordered some tapas. 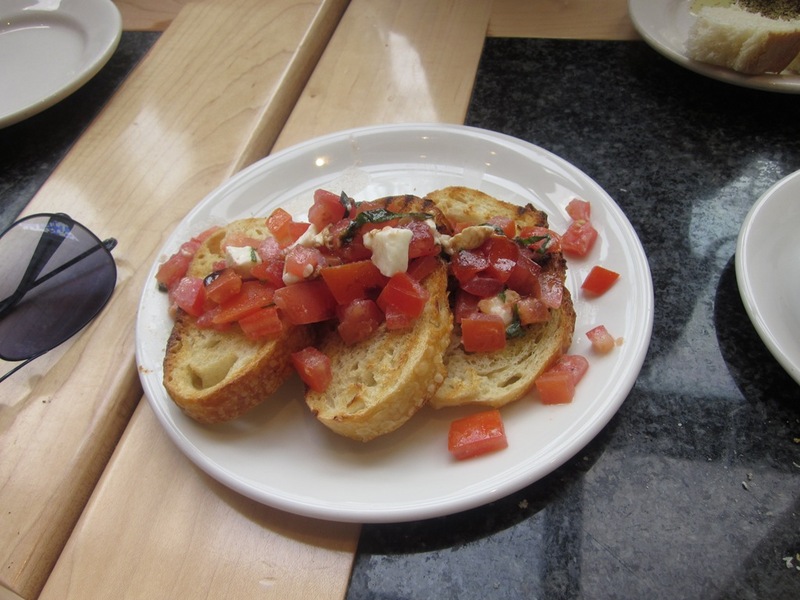 Okay, so the bruschetta didn’t look exactly like this, but there was definitely hummus. 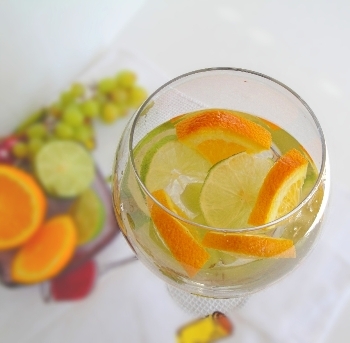 And sangria. But that’s a given. And this is all hypothetical, of course. Let’s say the bill came. And I only had a card, so I used it to pay the whole check and Jenn gave me cash. Let’s say it was a $20 bill she gave me. Let’s say I was too busy using my tip calculator figuring out the tip and didn’t notice when I left the $20 bill on the table with the check, which I had already added tip to. Let’s say, and this part is important, that I’m a 22-year-old recent graduate with a loan to pay off, rent to take care of and a part-time job at a coffee shop. I could use $20. Hypothetically. What would you do? Would you call the restaurant and try to explain what happened or would you just let the $20 go? It’d be painful, but I’d let the $20 go. Too hard to explain/verify. Plus, just think how happy you made your server! It’s a good deed. because I’m incredibly passive, I’d let it go.. though i’d be bitter and cranky for days. You poor thing! 😦 That waiter must think they’re the employee of the year now that they scored a $20 tip! Oh dang…I would let it go. Just think of it as your very good deed of the year. You made a waitress very happy! Sorry about the bucks though, I can understand the value of a twenty…. Ack. It would definitely upset me, but I would probably let it go. It would be hard to explain, and I’m not the best when it comes to confrontations. Besides, if it’s a restaurant you visit often, you probably don’t want to stir up a fuss and make any future visits kind of awkward. But I have faith that something good is going to happen in your life! I used to be the type of person who would just let it go (I would get too anxious to call.) However, knowing exactly how it feels to need every extra penny you have for bills, I would call and explain. It should be obvious that the bill + tip was all on the card. If the waitress has a heart, I’m sure she will give it right back!